The St. Clair Mural is Canada’s newest public art landmark. 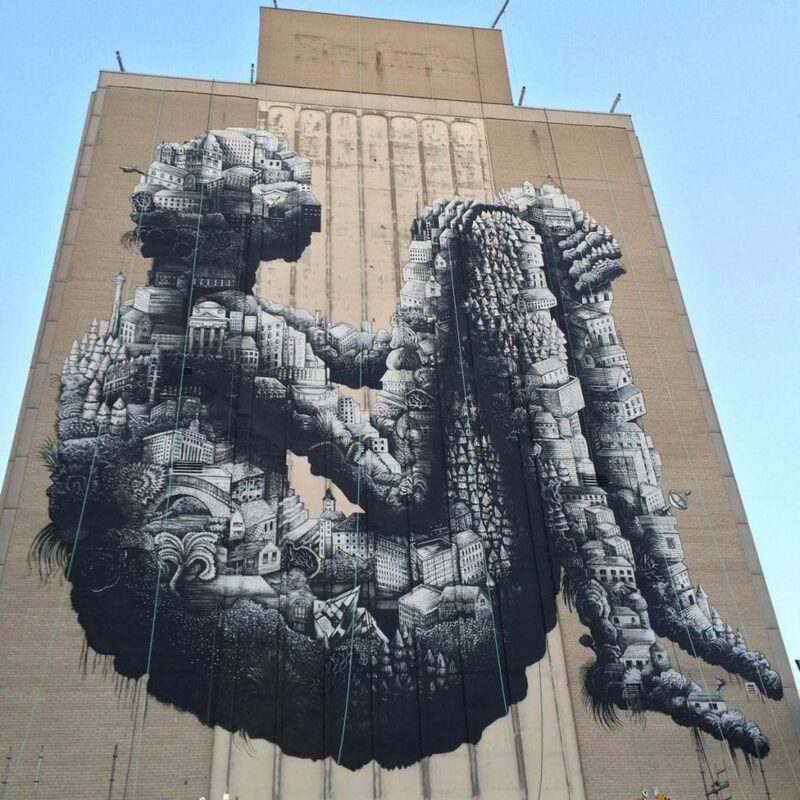 Created in collaboration with internationally celebrated artist PHLEGM and The STEPS Initiative. The 8 storey mural at Toronto’s highest point, Yonge & St. Clair, reveal a contemplative human form overlooking the city. Composed of landmarks and recognizable features, such as the CN Tower, the ROM and the A-frame houses of the area, the mural acts a metaphor for the living, breathing nature of the city.